The Wiwi Jury thought it had reached rock bottom with Latvia’s Anmary. Boy were we wrong. Last night we gathered in our underground bunker to review Anri Jokhadze’s “I’m a Jocker.” We emerged ten minutes later wearing black, and each of us had a heavy heart for the Republic of Georgia. Wiwi: The Georgian entry says he is a joker, but there are plenty of things he is not. He is not, for instance, a good singer. Nor is he the charismatic performer it would take to make this appalling song bearable. Its lyrics are easily the worst of Eurovision 2012 and feature lines such as: “Hands up, booty up! And do the dance, honey/ Hands up, booty up! And do the dance, honey/ Show me some love!” I’m starting a petition for Georgia to send Candy—the Georgian girl group which won Junior Eurovision 2011—to Baku instead. Vebooboo: OK, this dude tries to own the stage like Eric Saade or Danny Saucedo. Two key problems — he’s twice their age, and he’s overweight. And perhaps more importantly, his lyrics don’t make sense. What the hell is he singing about? Why are the interludes in the song so abrupt? And why are all these bad songs making it to Baku this year?? WHY!?!? Meows Kitty: Oooo, I just gave Georgia the hand. Stare at the palm of my hand, b*tches. Did he just say “I’m a stalker”??? EWWWW. Deban: Georgia is no stranger to sending bizarre acts to Eurovision. And no ESC journalist could ever forget the promotions that have accompanied some of Georgia’s entries. In 2008, Diana Gurtskaya’s contribution to world peace was chanting “Peace Will Come” on her missionary walk through the Serbian war fields. Defying her disability (she’s blind), she led hoards of people through the ravaged areas all waving Georgian flags. Remember the vamp rock band, Eldrine from last year who screamed their way through three minutes of “One More Day”? The shock factor rose to another level, when they turned up to perform on stage in florescent green paper-type dresses. Consequently. They bagged the Barbara Dex Award in a landslide victory. I could have bet my life savings on both of these songs not qualifying, but they managed to peak in The Top 10. Anri Jokhadze continues this trend. The song is simply bad. It’s not even a song! It’s a speech rap with the most pathetic a-b-c type lyrics. Despite the song being backed by a soulful choir, the refrain “I’m a joker, I’m a rocker, I’m a smoker, forever, ever, ever.. .” borders on irritating. It’s hard to imagine the merits of sitting through the Georgian pre-selections when songs like these emerge as winners. The good news is that this song will facilitate my toilet break in Baku. And just when you thought it was safe to come out again, in comes Gerogia’s joker/rocker/worker/smoker/stalker and all the other (ir)relevant “-ker” words in the English dictionary. Please tell me am not flying from London to Baku to see this idiot? This not a joke just like is lyrics. Guys is white gloves coming back into fashion? 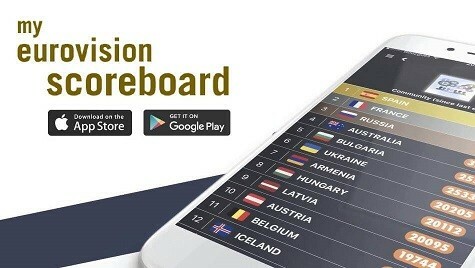 ( I don’t think so ), I can see Georgia in the last position or should I say not Qualify to the final. Nirgal, I am watching this exciting song for the third time. I actually am starting to like this song in the most ridiculous way, whilst eating sweet potato with my danish “girl”-friend who must catch up on Eurovision songs selected. He is not a joke. He is a joker! Nathan, he’s not a joker. He’s just a joke. And a bad one. Yes Emma, WiwiJury’s plan is to review all the entries. Stay tuned. All we can do is hope for another Belarus–terrible song, everyone investigates this terrible song’s victory because they really really really don’t want to embarass themselves like that, turns out terrible singer cheated. Although I’m not entirely sure Alena cheated–that might have just been an excuse from Belarus’ lovely dictator to send something decent. Wiwi Jury, will you be reviewing all the countries? Love to see your take on Germany (I’m in Germany now, so I watched USfB and was totally rooting for Roman) and Belarus’ new number. The jury is right, the lyrics had very little thought put in to them. Deban, I got the feeling you put a lot more energy in to analysing this song than the writer did in composing it! 1.75 out of 10 is still to high. Should’ve been a -3 at most. I think Vebooboo was doing some of Whitney Houston’s drugs when he gave this a four. WTF??? It takes a lots keep me quiet but this atrocity stunned me into silence. Deban, how on Earth did you manage to award this 2/10? Vebooboob 4/10? Seriously guys, at least the Kitty wasn’t afriad to stick her claws into this and give it the appropriate nil points. I salute Meows Kitty’s courage. Nil points?? I thought that wasn’t permissable on wiwibloggs. I must say that on hearing the song again ( a task in itself), I felt like asking the Georgian delegation for a refund of my 2 points.